The diagnosis of a hereditary cancer syndrome can be complicated. A family history may be explained by more than one hereditary cancer syndrome, making it difficult to choose one gene to test. In addition, the cancers in a family may be due to a combination of genetic and environmental factors. For this reason, a detailed review of the family history by a genetics professional is important before pursuing any type of genetic testing. Genetic test results can be confusing and are most useful when interpreted by a genetics professional in the context of an individual’s complete personal and family history. It is important to consider both the pros and cons of genetic testing before pursuing such tests. A genetic counselor can help to identify and explain issues that should be considered regarding genetic testing. A genetic counselor also can help determine which, if any, genetic tests may be helpful for a family. The button below for the Risk Assessment Questionnaire is for those who have scheduled their initial appointment. If interested in setting up your first appointment, contact us at 402-420-7000. For individuals who have an appointment scheduled, please have the assessment completed prior to your appointment. Incomplete assessments may result in your appointment being rescheduled to a later date. How much does genetic counseling and testing cost? The genetic counseling consultation is currently free at SNCC. You or your insurance will not get billed for the genetic counseling consultation. The cost of testing depends on the test performed. Most insurance companies cover the cost of genetic testing when it is medically indicated. Many genetic testing laboratories have affordable self-pay options as well. We will determine whether your testing is medically indicated at your first appointment. (Knowing your family cancer history helps with this process!) If you have insurance, the genetic testing laboratory will pre-authorize the testing with your insurance company and let you know if you have any out of pocket costs. If those costs are too much, you will have the option of setting up a payment plan or canceling the test. Most cancer is not inherited and either happens by chance or is due to exposure to cancer‐causing agents in the environment. However, it is estimated that 5‐10% of cancer cases occur because of a cancer susceptibility gene in the family. How do I know if the cancer in my family is hereditary? Cancer occurring in several blood relatives on the same side of the family in more than one generation. Cancer occurring at a young age (i.e. less than 50 years). A family member who has had more than one separate cancer diagnosis. Cancer occurring in both of a paired organ (such as both breasts, both ovaries, or both eyes). Rare cancers (e.g. breast cancer in men). A pattern of particular cancers in the family (such as breast/ovarian, colon/endometrial, breast/thyroid and others). What is a Cancer Risk Assessment? Is there a genetic link between the cases of cancer in my family? Do my children (or other relatives) have an increased chance of developing cancer? How would genetic testing be helpful in my situation? What can I do to prevent the development of cancer? A detailed review of medical and family history. Evaluation of the likelihood of hereditary vs. sporadic cancer in the family. A personal cancer risk assessment (the chance that you might develop cancer in your lifetime). Discussion of recommendations for cancer screening and options for reducing the chance of developing cancer. Help in decision‐making about testing or medical options. Genetic testing for some families when appropriate. What is genetic testing for cancer susceptibility? Genetic testing is the examination of the genetic material (called DNA) of an individual to determine if there is an altered copy of a specific gene. Genes are packages of genetic information that determine everything about us such as who we look like and how we grow and develop. When a change occurs in a gene (also called a mutation), this prevents the gene from working properly. If a change occurs in a cancer susceptibility gene, this results in an increased chance of developing cancer. Genetic testing can most often be done on a blood sample. A number of genes, when altered, are now known to cause an increased susceptibility to develop cancer in individuals who carry them. If the family history suggests that one of these genes may be present, genetic testing is offered. The decision to have genetic testing is a personal one. Genetic counseling can help an individual understand the benefits and limitations of genetic testing prior to making this decision. To find a reason/cause for the cancer in the family. To more accurately estimate one’s true risk to develop cancer. To learn which type cancers may be a concern in the family. To help guide decisions about cancer screening, lifestyle changes and preventive surgeries. To determine whether relatives are at increased risk to develop cancer. To find out one is NOT at increased risk to develop cancer. Can't I just have genetic testing without counseling? How do you feel genetic testing will be of benefit to you? For example, will it help you make health care decisions, give information to your children or relieve uncertainty? How will you cope with a positive result? How will you react to a negative result? What kind of support do you have available to you? If there are other stressful changes in your life right now, would it make sense to wait before undergoing genetic testing? How genetic testing might affect your insurance and which laws could provide you with some protection. What steps does the lab and clinic take to keep your records private? How do you plan to communicate the results of genetic testing to your family members and how might they react to this information? Is this information that you want for yourself or do you feel pressured by your family or physician to be tested? I already have cancer.  How can genetic counseling and testing help me? Genetic evaluation and testing can provide information to patients who have already had cancer. An individual who has a gene change that causes cancer may have an increased chance of developing a second primary cancer. Knowing this may influence your options for cancer treatment. If genetic testing suggests you are at increased risk to develop a second cancer, your doctor may also recommend more intensive surveillance. Finally, individuals who have had cancer are often concerned about the risk to their children. Genetic counseling and testing can help clarify the risk to family members. Testing is most accurate when the first person tested in the family is someone who has had cancer. If you have had cancer and are not interested in genetic testing, you may want to consider DNA banking. DNA banking is the storage of genetic material for future use. DNA banking is an option to be considered should a family member who has cancer does not want to be tested or if a genetic test for their situation is not yet available. Banking DNA insures that the option of genetic testing is available to the next generation in a family. Genetic testing isn't for me but my doctor still wants me to meet with the genetic counselor. Why? Even if genetic testing is not for you, cancer risk assessment can provide you and your family with valuable information. Analysis of your family tree can give you information about how likely it is that there is a hereditary form of cancer in your family. You may be reassured to learn that your cancer risk is lower than you expected. Even without genetic testing, recommendations for cancer screening and/or risk reduction can be made based on the pattern of cancer in the family. Sometimes screening may be recommended for cancers that have yet not occurred in the family. Once you know your risk, you can take proactive steps to stay healthy. Often there are lifestyle choices, medications and surgeries that can help lower the likelihood of developing cancer. Frequent cancer screening at a young age can increase the chance of detecting cancer when it is most treatable. Is this a research study? This is not a research study. Cancer risk assessment and most genetic testing are now offered as a clinical service. It is considered the standard of care for many situations. We are not recruiting research patients for such services. Research is active in the field of hereditary cancer. When indicated, we may share research opportunities with you at other institutions.